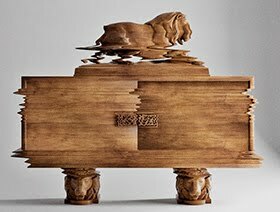 If It's Hip, It's Here (Archives): iPad Foosball. New Potato Tech Scores With This Fun Dock and App. 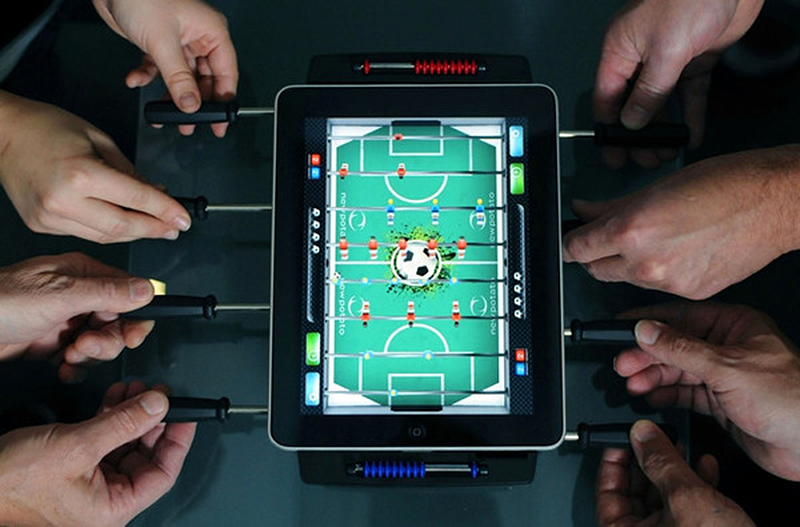 iPad Foosball. 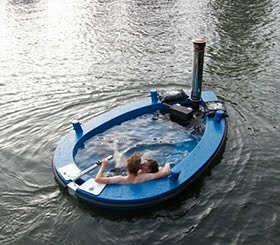 New Potato Tech Scores With This Fun Dock and App. 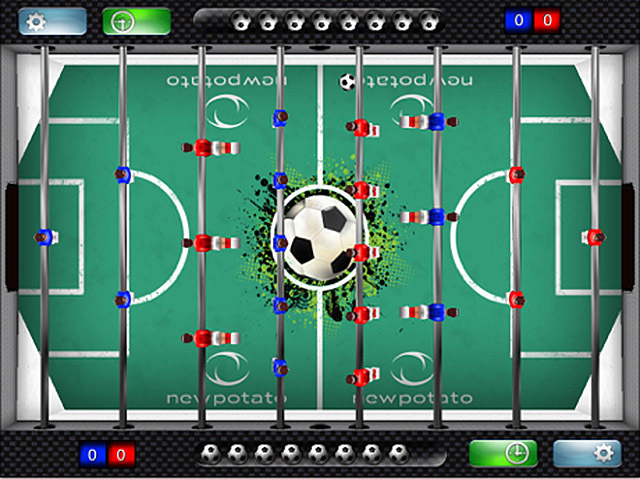 Classic foosball has been brought into the future with New Potato Tech's Classic Match Foosball for iPad accessory. 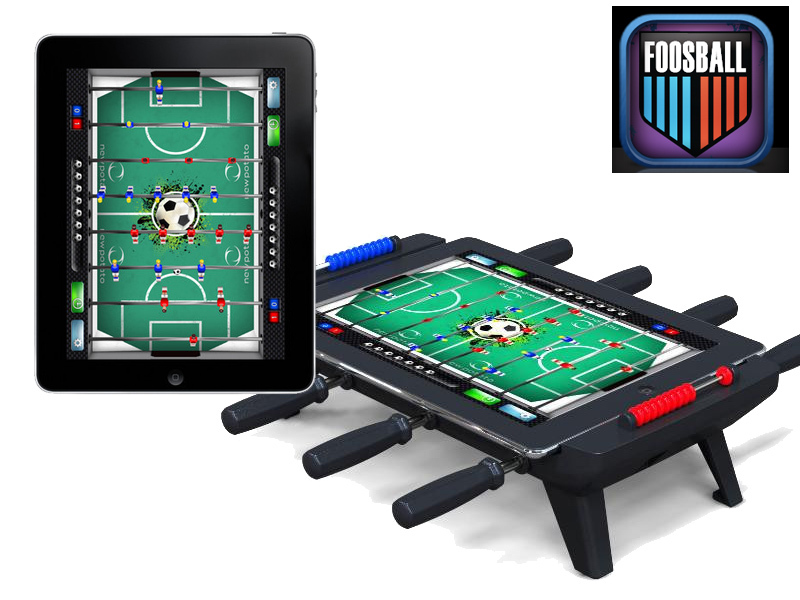 Powered by the iPad, iPad 2 or iPad 3rd generation, you can work your pull, snake, bank and bread and butter shots, fake out your opponent and deliver the ball into the goal with a resounding "thunk", all on a table top foosball dock for your iPad. 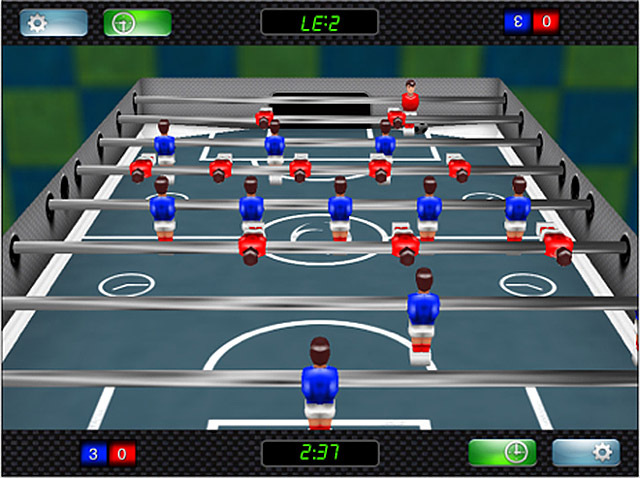 Just like real tournament tables, Classic Match Foosball brings the complete foosball experience to your iPad. 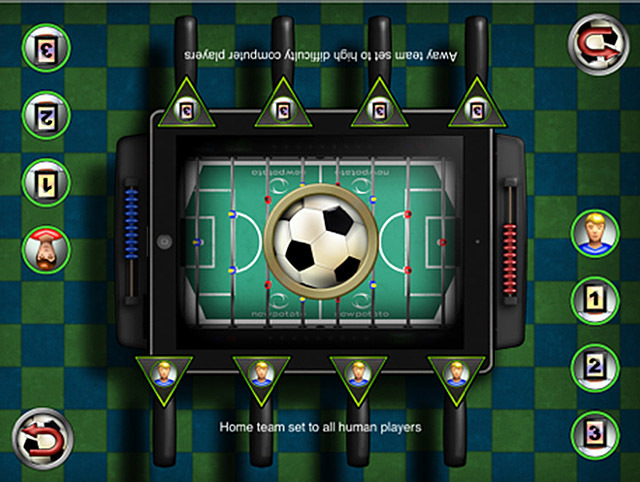 Just plug in your iPad, fire up the free Classic Match Foosball app, and start playing. 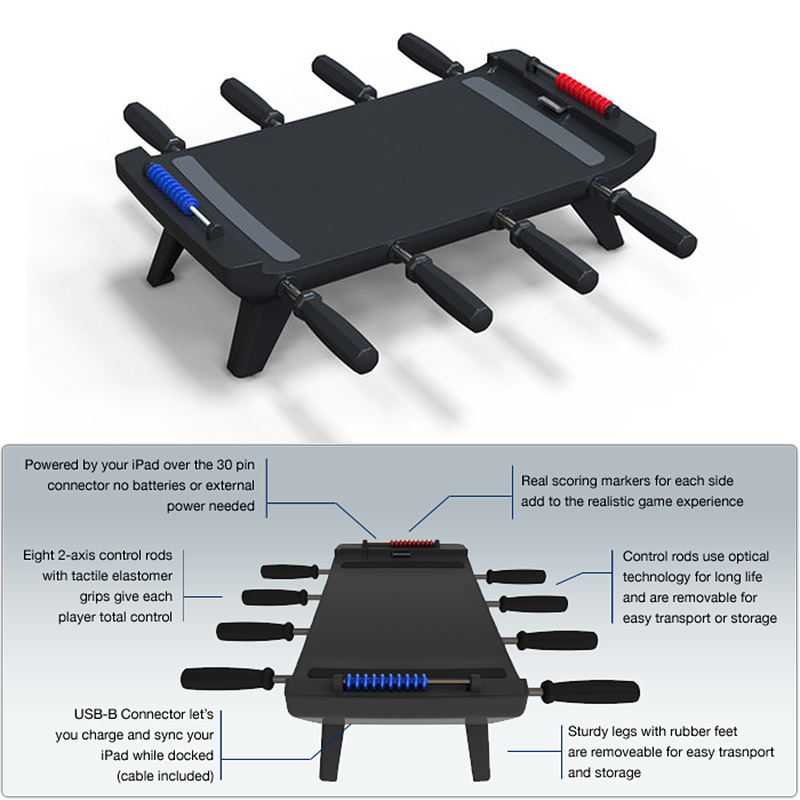 All 8 of the 2-axis control bars will move your virtual players around the table, so up to four people can join in! 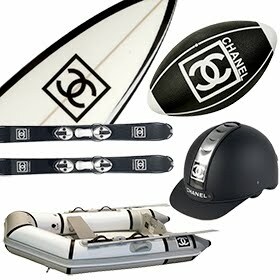 And this ingenious dock even comes with little scoring markers at both ends.